What's up with the club? Are we done? There hasn't been any meeting in 9 months. Maybe I'm just missing the loop. I DO NOT do facebook, twitter, or any other social media crap. I'm ready to get something going even if it's just hanging out for a coke every once in a while. Another thing I have to work every Saturday and miss all the shows. no "we" are not done. With 306 members on here maybe 150 are from oklahoma, the last 3 events i went to with the exception of the the plaza meet there were 5 or less cars. So "we" as a whole are not done, but it looks like 95% of people are, typical. There is another group that just started up, im told they started up because they were tired of the "other" group (us?) not doing anything, even though most of them dont go to events either, perhaps you might not go to their events they dont have. as for meetings, me you, mike hathaway, mason, and the occasional 3 or 4 other people every few months is not a meeting. Perhaps you should start an event up to "drink a coke" that nobody will come to or I guess you could come to some of the events posted in the events section? 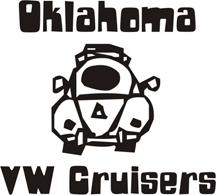 I would like to meet other members and talk VWS but I don't know when and where they are. robwalk45 wrote: I would like to meet other members and talk VWS but I don't know when and where they are. as VWJIM stated above: "you could come to some of the events posted in the events section?"